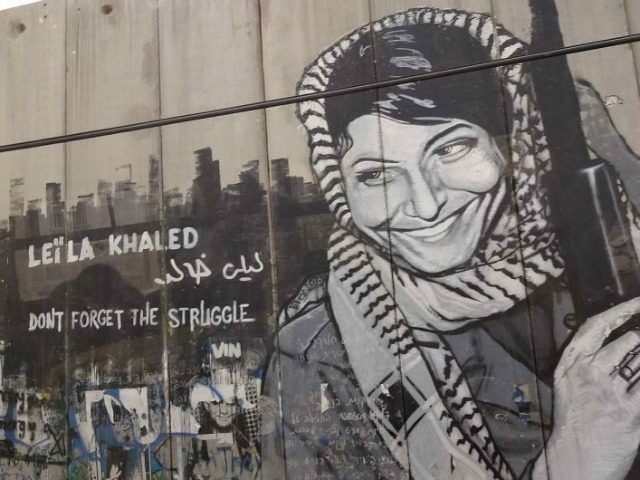 The Times of Israel reports: Leila Khaled, a convicted Palestinian hijacker who has continued to advocate violence against Israelis, is reportedly slated to give two talks in Spain in the next few days despite attempts by Israeli officials to block her. Khaled, who was invited to Brussels to speak at the European Parliament on Tuesday by lawmakers representing the far-left Izquierda Unida party from Spain, is next scheduled to speak at Madrid University on Saturday and at another venue at the beginning of the week, Channel 2 reported on Thursday. In her Brussels address, Khaled attacked Israel and said Zionists were worse than Nazis. “You can’t compare the actions of the Nazis to the actions of the Zionists in Gaza,” she said. “The Nazis were judged in Nuremberg but not a single one of the Zionists has yet been brought to justice,” she added.